We tried to have lunch at there before but unfortunately they were already closed. So we tried again this time. We got to there around 2 p.m. Fortunately we could enter the shop. But we were last guests. They stopped accepting guests that day. 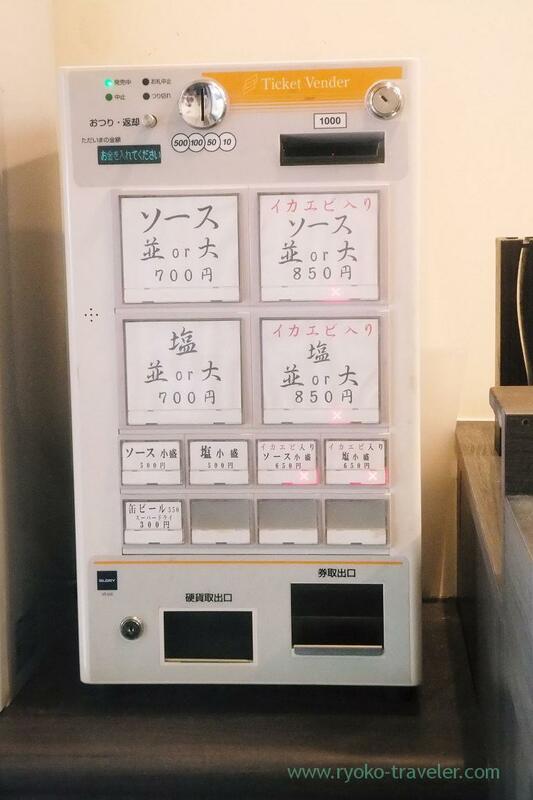 We followed the end of the line and bought a ticket at the ticket vending machine. Basically they serve yakisoba only. We can choose the seasoning out of salt and Worcestershire sauce. Extra-large helping is free of charge. 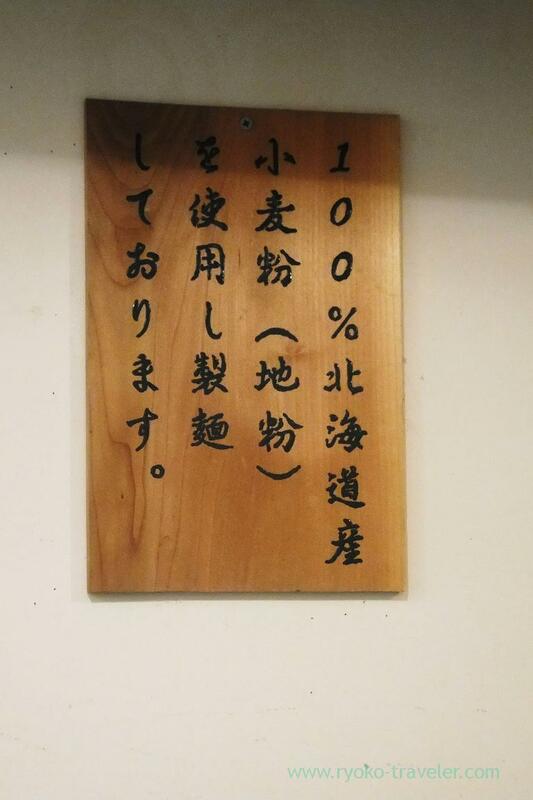 Smaller size is -200 yen. Containing squid and shrimps is +150 yen. We wanted to have yakisoba with squid and shrimps. but it was already sold out. 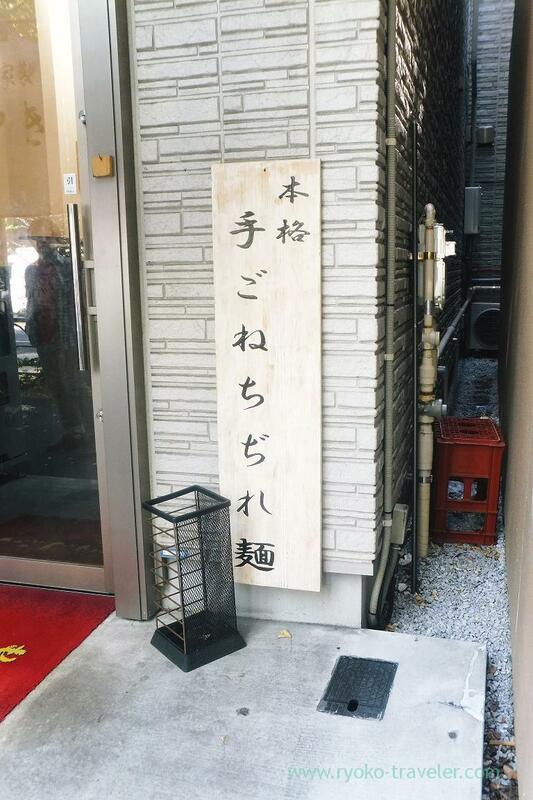 This notice says : They use flour from Hokkaido prefecture only and cook their noodles at their shop. This shop have only long counter table surrounding the kitchen. And many condiments like red ginger(beni syoga), tenkasu and mayonnaise with mustard. 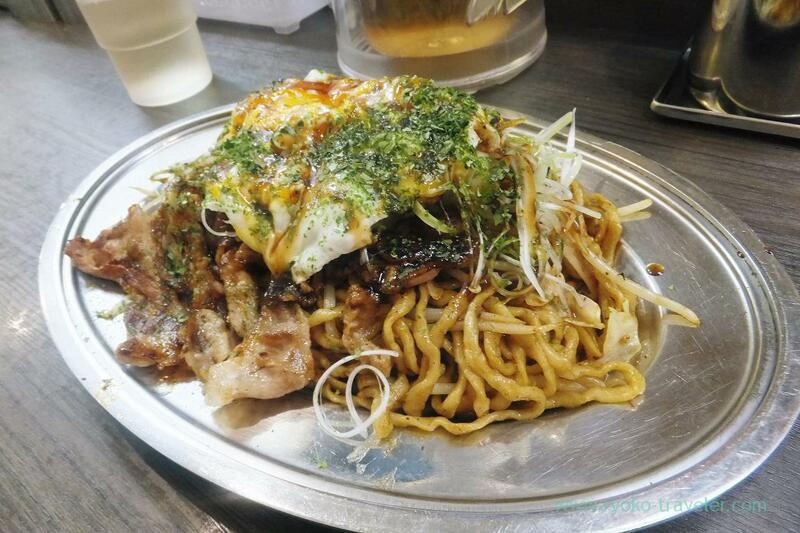 My yakisoba was seasoned with salt (焼きそば塩並, 750 yen). 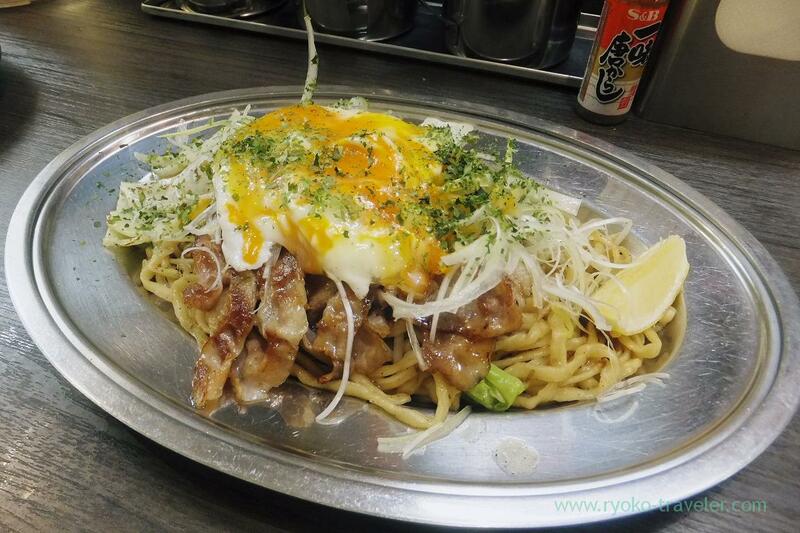 His large yakisoba was seasoned with Worcestershire sauce (焼きそばソース大, 750 yen). sunny-side up, green onions, fried pork , bean sprout and green laver on it. This wavy noodles were very funny. We shared these two yakisoba. Both was good. But I like salt-taste yakisoba because it had light taste. I put many red ginger and mayonnaise with mustard on it.